When a long-time supporter of local MMA, Brad Cary, announced he would be taking over the Nemesis Fighting Alliance, a collective "ooh" could be heard reverberating throughout the local MMA community. Cary, a successful local realtor, was the title sponsor of Gateway Fighting Series, and before that the original incarnation of NFA. When it looked like GFS could be closing up shop, Cary threw his hat in the ring. "I just saw the need for more local MMA," Cary said. "GFS was shutting down, and nobody was really talking about any upcoming shows. I've been asked many times by fighters, fans, officials about starting your own promotion, and it just felt like the time." Beejay and Markie Smith created Nemesis Fighting Alliance in 2011, and have been active in the MMA community since hosting multiple shows up until 2016 when they decided to shutter the brand. NFA hosted shows in St. Louis, Arnold, and several events at the Farmington Convention Center, including one night which featured local rock band The Greek Fire. "Beejay asked us if we wanted to take over the brand, and thought we should take it on," Cary said. "Marlene (Cary's wife) really liked the name, and we decided to try and go on with that instead of starting new. It was a seamless transition knowing the name and the brand, and being a part and helping build it." One thing that has always set NFA apart from other promotions is every event a local charity is chosen, and proceeds are donated. "We think that is something very important to carry on," Marlene Kelly said. "We're not here to make a huge name for ourselves. 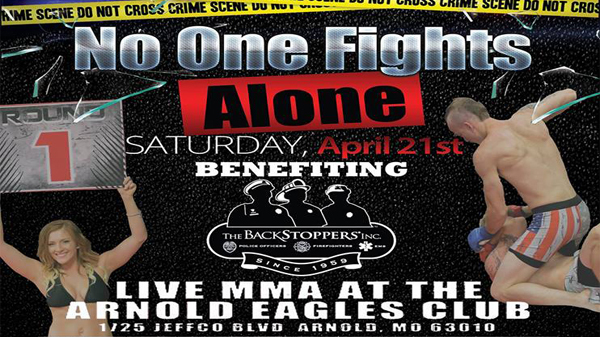 Giving back to our MMA community and other charities is important to us." Backstoppers, a group that supports police, fire, and EMT were chosen for Cary's first event and the title "No One Fights Alone" was adopted. Backstoppers provide financial assistance and support to the spouses and dependent children of officers, firefighters, and EMT who have lost their lives or suffered a catastrophic injury performing their duty. The Wolves' Den's Drew Ingrande was chosen as the NFA's matchmaker and has put together a promising first offer. "I just gave him a call," Cary said. "He said he had been asked many times and wanted to know our thoughts before he accepted. We laid out our vision of not only this show but also our future shows, and said he was all on board and eager to help." Headlining Saturday's event is a match-up between Nathan Stearns (8-4) and Chuckie Brooks (4-1) that should be action-packed. 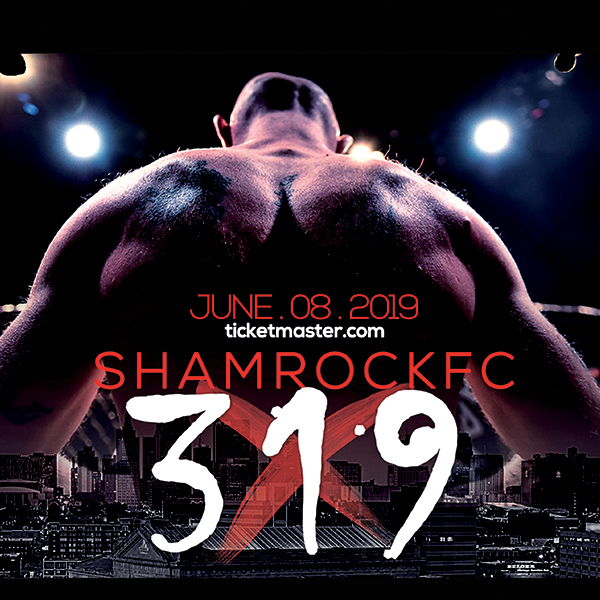 Brooks has been red-hot winning three in a row for Shamrock FC, all by stoppage, and Stearns has long been considered one of the area's top prospects. Jason Newman will be back on the NFA card to face Johnny Cox in a kickboxing match. Newman was scheduled to compete on the last Smith NFA event, but the fight doctor removed Newman off the card just an hour before bell time. Newman's brother Damian was a former NFA champion, and very popular among the NFA fans. Rounding out the main card, Dan Liberson will face Richard Moad, and in a K1 bout, Rodney Cotton will take on Kyle Ondo, which should have plenty of action. Wolves' Den teammates Sam Paneitz and Raja Sing will battle in a friendly kickboxing exhibition. Keep your eye on the undercard for Danny Moriarty out of Watson Martial Arts. He's looked impressive in kickboxing matches, and the few MMA fights we've seen him. Moriarty will take on Jacob Jewell. General Admission, tickets available at the door.